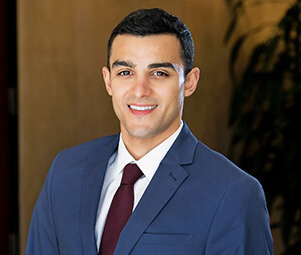 Nabil Awada is a premier client advisor for Matthews Multifamily Advisors™, a division of Matthews Real Estate Investment Services.™ He primarily focuses on the disposition and acquisition of multifamily investment properties in the South Bay. Having grown up in the market he represents, Nabil leverages his specialized market knowledge, understanding, and experience to provide the highest level of service to his clients. Nabil and his team thrive on helping clients redefine their expectations while allowing them to improve their investment position and achieve their goals through commercial real estate.